The Lower Burial Ground was Kingston’s original burial ground first used in 1783. Over the past three months CSMO has been conserving and documenting the remaining 47 stones on the burial grounds in St. Paul’s church yard. KINGSTON – The grave marker is a blank piece of stone, about one metre by two metres in size. To the naked eye, its face is barren of any discernible features. If there had, indeed, been writing on it, the wind and the rain of two centuries had long since swept it away. But 21st-century technology is restoring the identity of the grave’s occupant. 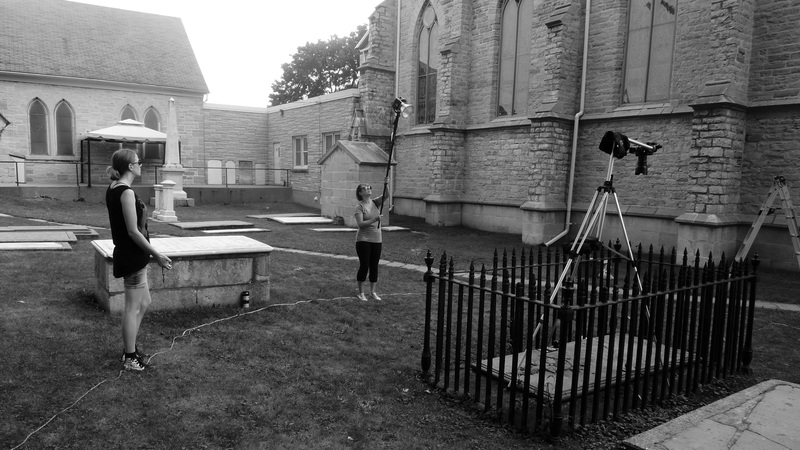 World-renowned conservator Alex Gabov will be spending a couple of weeks using a technique called reflectance transformation imaging to digitally restore the writing on dozens of headstones and grave markers on the grounds of St. Paul’s Anglican Church at the corner of Queen and Montreal streets. It is the oldest consecrated Protestant cemetery west of Montreal. It was first laid out by Royal Engineers in 1783 to prepare for the influx of Loyalists. The first people buried there, in 1785, were a couple of soldiers and a child. It served as the burial site for St. George’s Cathedral before the construction of St. Paul’s church. 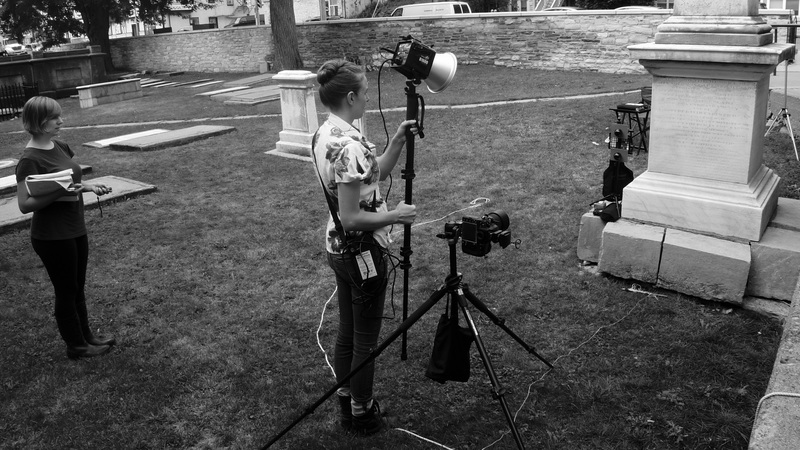 The project is an effort of the Lower Burial Ground Restoration Society, which has spent the past five years trying to preserve and restore the urban cemetery. Marianne Thompson, the society’s secretary-treasurer, said the work had a dramatic beginning in 2008. An accident had damaged the church’s 1799 Rocheleau stone wall on Montreal Street and, although the wall was repaired, it began crumbling away again. The rector at the time suggested a group be formed to restore the wall, so Thompson’s husband, Doug, formed the non-profit society and was named its president. He called in “the heavyweights with interest in historical preservation and conservation,” said Marianne Thompson. Included in the membership were Peter Gower, Sue Bazely, Ed Grenda, John Grenville and Brian Osborne. The project moved from simply restoring the wall to conserving all the graves in the plot, she said. “It is too important to let that go. All the early citizens of Kingston were buried there, and so it is an important memorial to these founders of Kingston. It is also a unique type of cemetery. You won’t find anything else like that in an urban setting,” she explained. They began with the Forsythe monument. “The bishop at the time called it the most expensive doghouse in Kingston,” she laughed. They also took on the Stuart Lair, burial site of Rev. John Stuart and his 11 family members. Gabov’s reflectance transformation imaging technique was developed about 12 years ago by a worker at Hewlett Packard. He first used it in a pilot project at Cataraqui Cemetery. 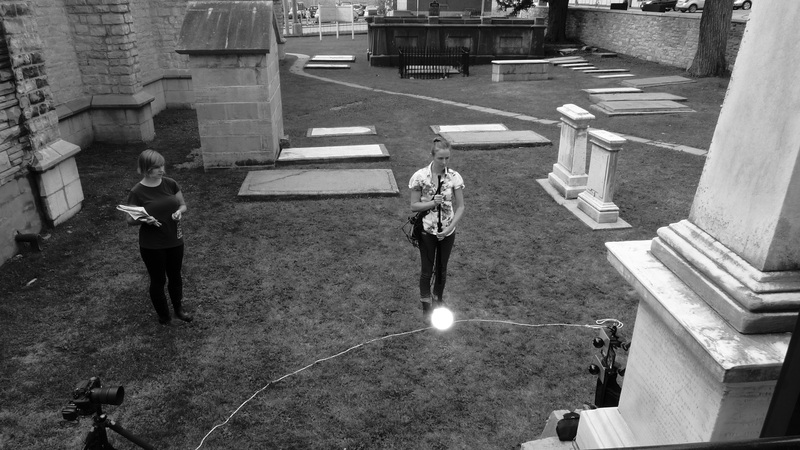 A stationary camera is placed above the stone to be photographed, then a flash is circled around the grave, producing multiple images. 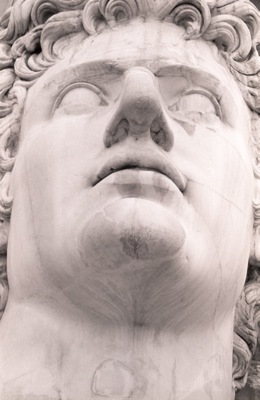 The large stone that was Gabov’s current focus was a typical example of the challenge he faced. But his laptop produced a graphic image of what the eye couldn’t see. The grave held Col. F.S. Tidy, the commanding officer of the 24th Regiment of Foot. He had died in 1835. The technique is very time-consuming but a lot cheaper than using 3-D laser scanning, which would require much more sophisticated equipment and a more powerful computer to handle the huge amount of data produced. Gabov also plans to make a list of what needs to be done to conserve the stones for future generations. The funding for the restoration project at the cemetery has come from the Community Foundation and two private donors. KINGSTON’S LOWER BURIAL GROUND MAY BE ONE OF THE LIMESTONE CITY’S LEAST APPRECIATED BUT MOST IMPORTANT HISTORIC SITES. OVER THE LAST SEVERAL YEARS THE LOWER BURIAL GROUND SOCIETY HAS SPEARHEADED A NUMBER OF PROJECTS AT THE SITE ON THE CORNER QUEEN AND MONTREAL STREETS. 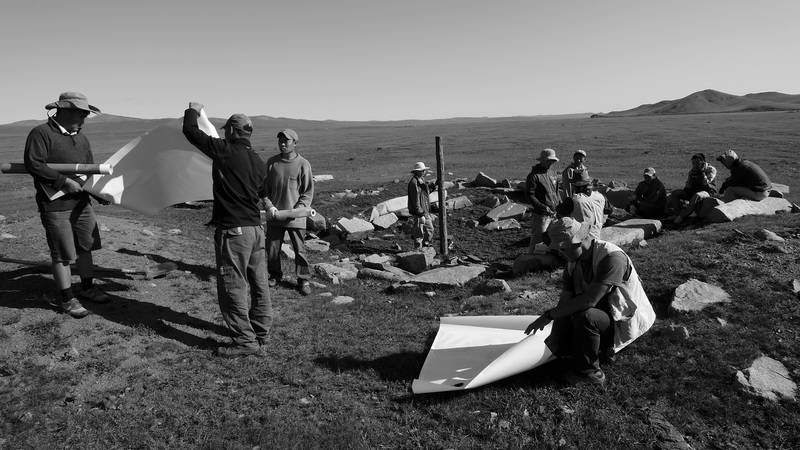 THE GROUP IS NOW IN THE PROCESS OF RESTORING AND PRESERVING THE MANY HEADSTONES ON THE PROPERTY THAT DATE BACK TO THE 18TH AND 19TH CENTURIES. NEWSWATCH’S DARRYN DAVIS HAS MORE…. These photo’s won’t be seen on the cover of Time magazine but that doesn’t make Alex Gabov’s work any less exciting. 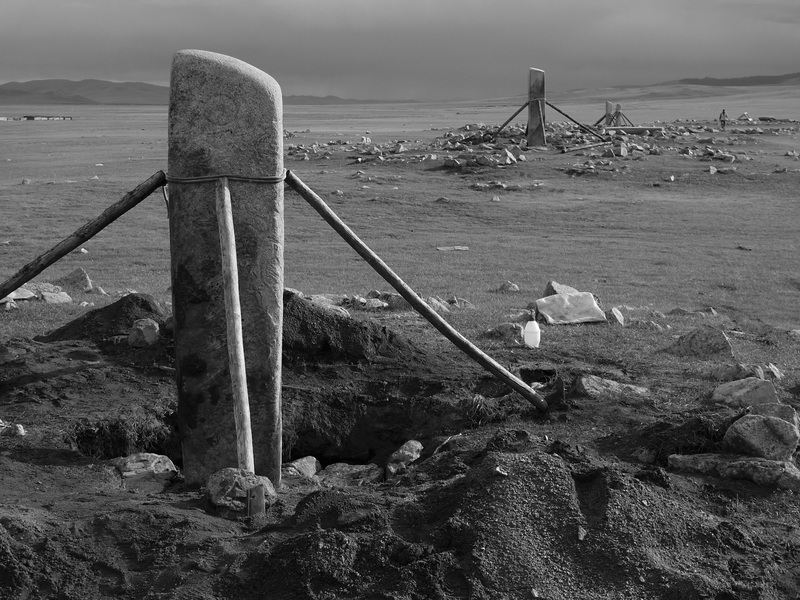 Gabov has been recruited by the Lower Burial Ground Society to rediscover the inscriptions that have been lost due to weathering and time on the numerous headstones. Work that wouldn’t be possible if not for the efforts of the not for profit Lower Burial Ground Society. 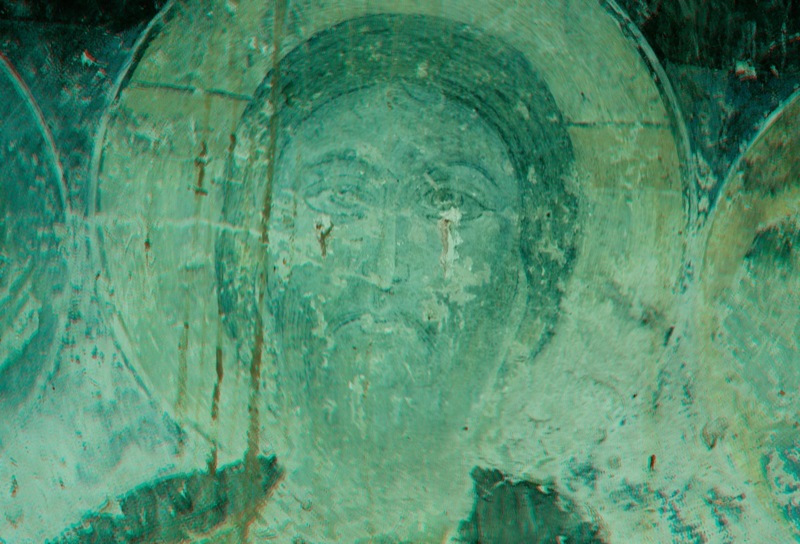 Through a series of photographs and computer software Gabov and his team are able to recover parts of history that have been lost over the centuries. But before this, a lot of preparation took place , from cleaning the headstones and monuments to looking at old plans of the cemetery grounds. “To the naked eye this old headstone is nothing more than a blank slate, but thanks to the work of Alex Gabov and his team we now know this is the final resting place of Colonel F.S. Tidy who died in 1835 at the age of sixty.” Using the software the inscription on the headstone becomes clear and easy to read. Gabov is also documenting the current state of the headstones and creating a to do list for the Lower Burial ground society. Gabov says the final report will be ready later this fall. Story by Darryn Davis CKWS Newswatch Kingston. We are in the final stages of completing this lengthily conservation and full documentation survey. Reflectance Transformation Imaging (RTI), developed in 2001 at Hewlett-Packard (HP) Labs, has been available for almost a decade but has been largely overshadowed by the rapid growth of laser and structured-light scanning in many cultural heritage applications. Work by Cultural Heritage Imaging (CHI) in San Francisco and at the University of Minho, Portugal, has done much to promote the technology and to develop a standard workflow. 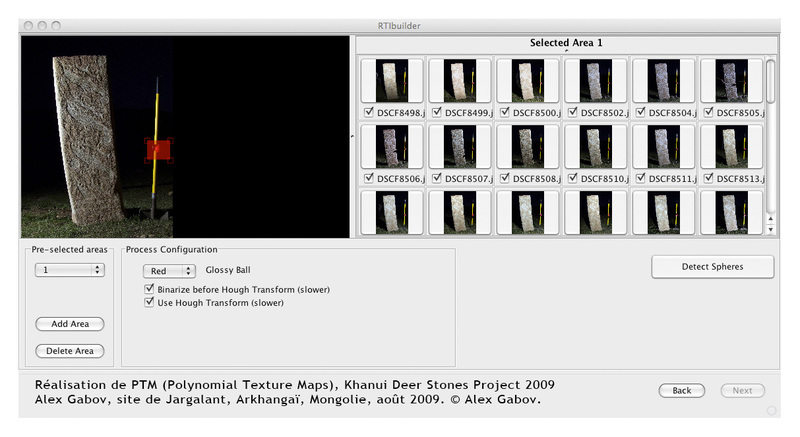 Demonstrated in this technical note is the way RTI can be integrated into the toolkit of the working stone conservator. 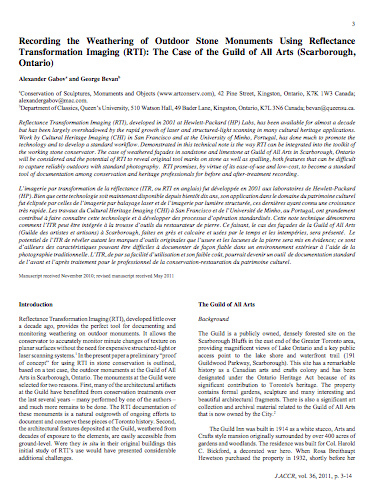 The case of weathered façades in sandstone and limestone at Guild of All Arts in Scarborough, Ontario will be considered and the potential of RTI to reveal original tool marks on stone as well as spalling, both features that can be difficult to capture reliably outdoors with standard photography. 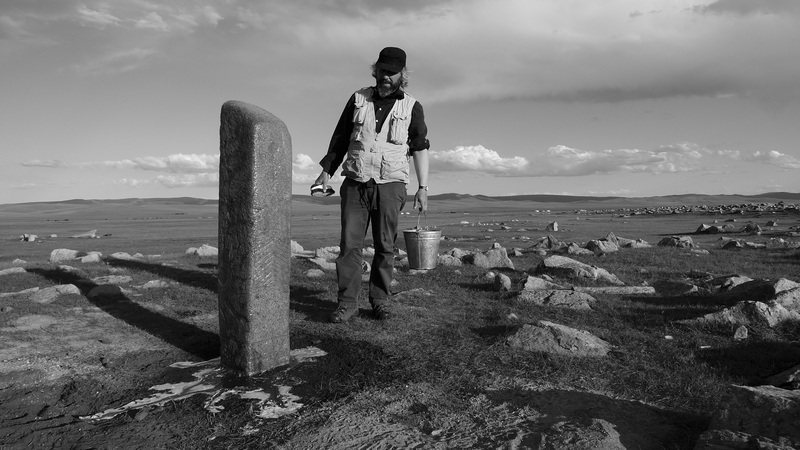 RTI promises, by virtue of its ease-of-use and low-cost, to become a standard tool of documentation among conservation and heritage professionals for before and after-treatment recording. L’imagerie par transformation de la réflectance (ITR, ou RTI en anglais) fut développée en 2001 aux laboratoires de Hewlett-Packard (HP). Bien que cette technologie soit maintenant disponible depuis bientôt dix ans, son application dans le domaine du patrimoine culturel fut éclipsée par celles de l’imagerie par balayage laser et de l’imagerie par lumière structurée, ces dernières ayant connu une croissance très rapide. Les travaux du Cultural Heritage Imaging (CHI) à San Francisco et de l’Université de Minho, au Portugal, ont grandement contribué à faire connaître cette technologie et à développer des processus d’opération standardisés. Cette note technique démontrera comment l’ITR peut être intégrée à la trousse d’outils du restaurateur de pierre. Ce faisant, le cas des façades de la Guild of All Arts (Guilde des artistes et artisans) à Scarborough, faites en grès et calcaire et usées par le temps et les intempéries, sera présenté. Le potentiel de l’ITR de révéler autant les marques d’outils originales que l’usure et les lacunes de la pierre sera mis en évidence; ce sont d’ailleurs des caractéristiques pouvant être difficiles à documenter de façon fiable dans un environnement extérieur à l’aide de la photographie traditionnelle. L’ITR, de par sa facilité d’utilisation et son faible coût, pourrait devenir un outil de documentation standard de l’avant et l’après traitement pour le professionnel de la conservation-restauration du patrimoine culturel. 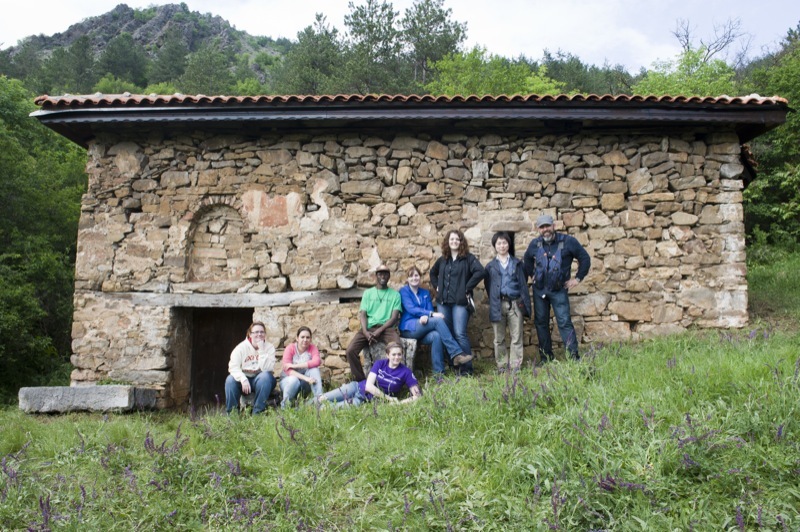 Since 2010 CSMO has been affiliated with The Balkan Heritage Field School (BHFS) a non-profit, non-governmental organization which is the largest archeological field school in Eastern Europe. Multi Spectral Imaging uses digital camera and various light sources and filters to record reflectance spectra of the painted surface and augment the surface information gathered by Visible Light Imaging and RTI. 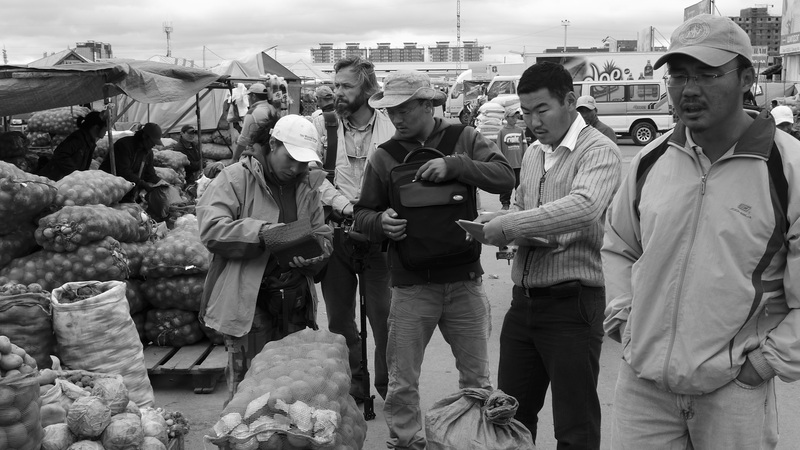 All these digital techniques are non-invasive and non-destructive and are regularly used by CSMO for our artifact documentation. RTI, MSI and Orthophotograhy were used in the medieval church of “Sveti Nikola”, located in the Divina hamlet at the outskirts of Kalotina village. The roof of the old church was torn down in 1905 leaving the structure exposed until a local resident rebuild the roof. In 1938 the rebuilt roof was additionally renovated. The roof was once again renovated in 2011-12. The church is one-nave basilica with a narthex in which you enter through a door on the south wall. This wall has a small window, which lights the apse. There is significant deformation of the building: the north wall is 20 cms longer then the south and the west wall is 30 cms longer then the east. The original, long missing roof, was probably in stone semi-cylindrical style. The murals in the narthex appear to have two layers of frescoes. In this area the most notable are the images of the donors. These portraits are series of images of two women, two men and five children. The second group of donors takes the entire width of the north wall of the narthex, depicting two men and a woman standing behind their three children. This mural is in very bad condition. The faces of the depicted are much alike. 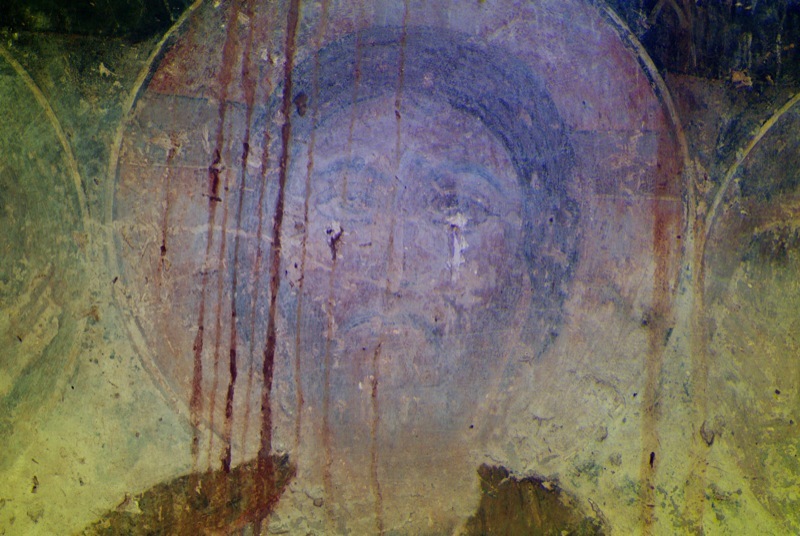 The bottom portion of the Fresco is missing. Rectangular white flags next to the heads of the donors originally had an inscription of names, these are now almost completely illegible. RTI and MSI were successful in documenting the current condition and identifying long lost information. The main donor is the man on the proper right on the eastern wall, who is depicted gifting the model of the church in the hands of the Sveti Nichola. The image of Sveti Nichola on the east wall is almost completely destroyed. Of the remaining images in the church the image of Jesus Christ (at the entrance to the nave) and scenes of torture of the sinners, are damaged almost beyond recognition. Unlike the narthex, in the nave few fragments have survived: in the apse part of religious scene (oranta); on the south wall only a single figure is preserved; next to the east are the saints warriors, and above them are a group of saints (all the way to the western wall); the west wall has lost almost all frescoes; on the north wall are saints and warriors along with “Pilate washing his hands” scene. A. Grabar originally proposed that the frescoes in this church date from the end of XV century. This preposition can be corrected taking into account the commemorative inscription originally located above the window of the church (which is no longer at the church). In 1947 this inscription was removed by Professor Asen Vassiliev and is now stored in the Archaeological Museum in Sofia. It reads: ” Izvoleniem and … finished village, holy spirit, built and painted by…t / it / our Father / car / in this day of the great Yoa / n Alexa / ndar / …day …”. This wording makes it clear that the church was built and decorated during the reign of Ivan Alexander (1331-1371). The church “Sveti Nikola” is another important medieval Eastern European building. Although it is not in a good state of preservation, it is one of very few XIV century churches that remain. 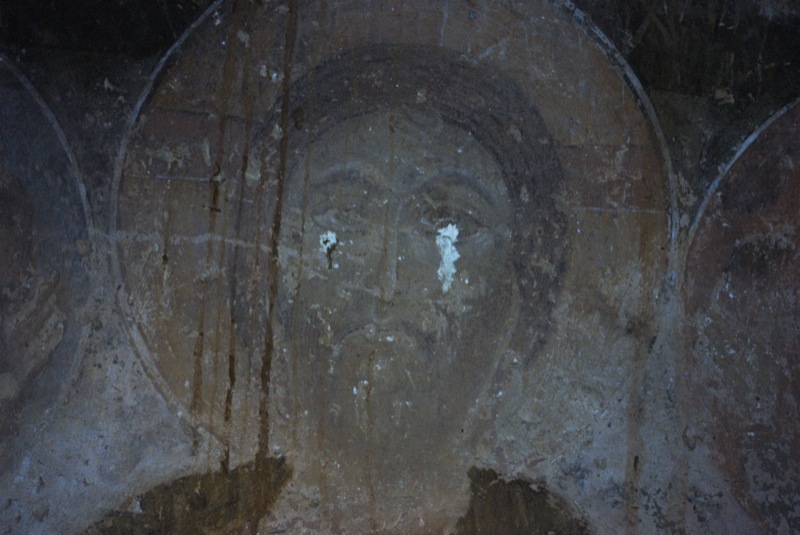 In addition to the on going preparation of a full visual record of the frescoes and documenting the condition of the structure in an effort to publish a ‘Corpus of Medieval Frescoes from Western Bulgaria’ this church will need stabilization and the frescoes will have to be conserved. 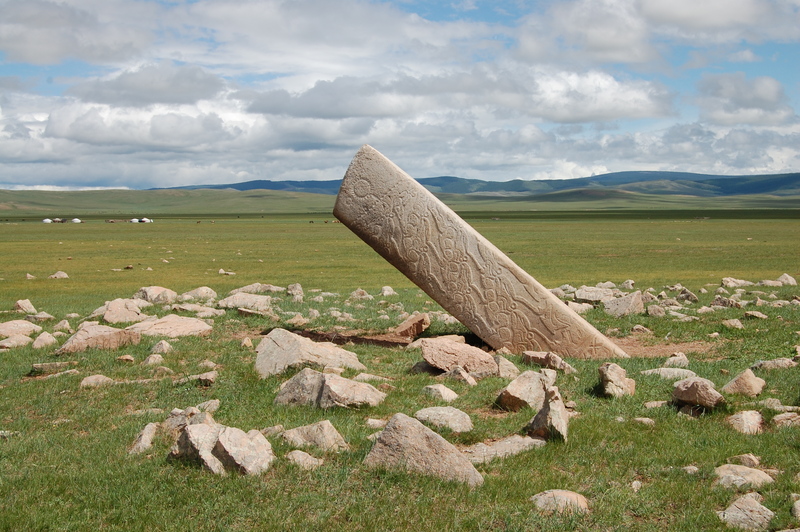 Mongolia holds some of the richest monuments of Eurasia’s cultural history. 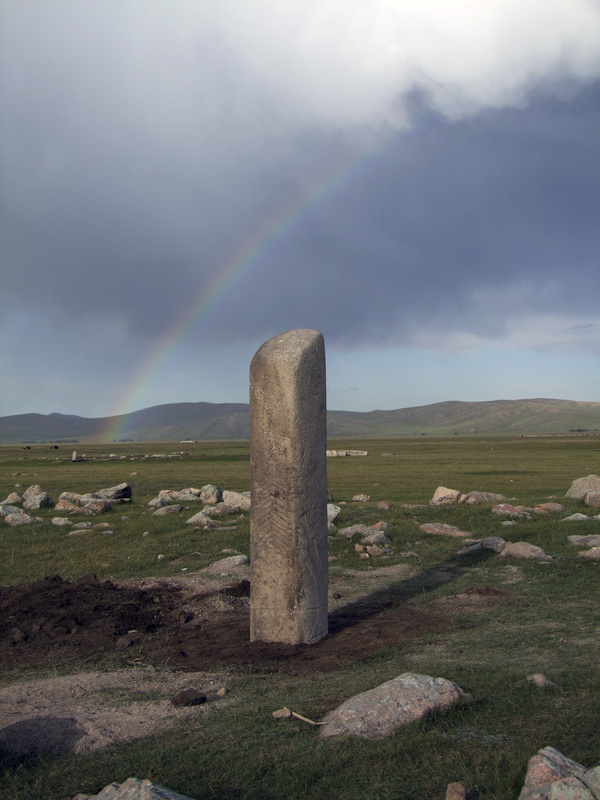 Intricately carved stelae known as “deer stones” are some of the earliest representations of the traditional beliefs and way of life of Eurasian nomads of the Bronze Age (3000-700 BC.) and are found on ancient ritual sites. 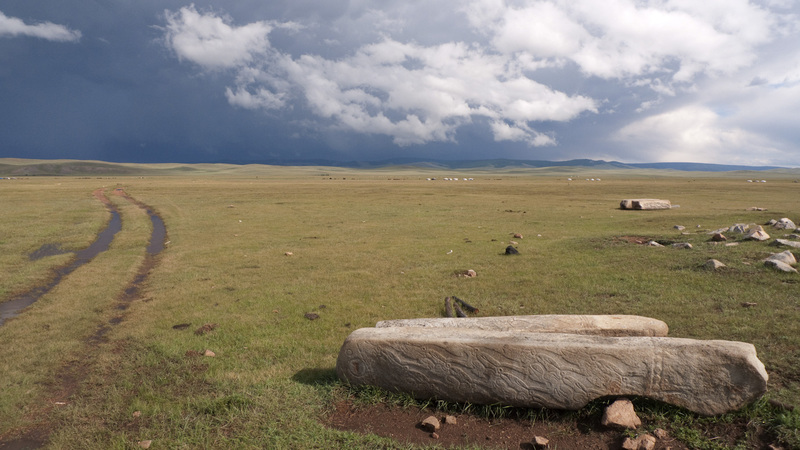 The vast majority of these stelae and their ceremonial locales are found within central and west Mongolia, and, the site in Khanui Valley is one of the most outstanding. 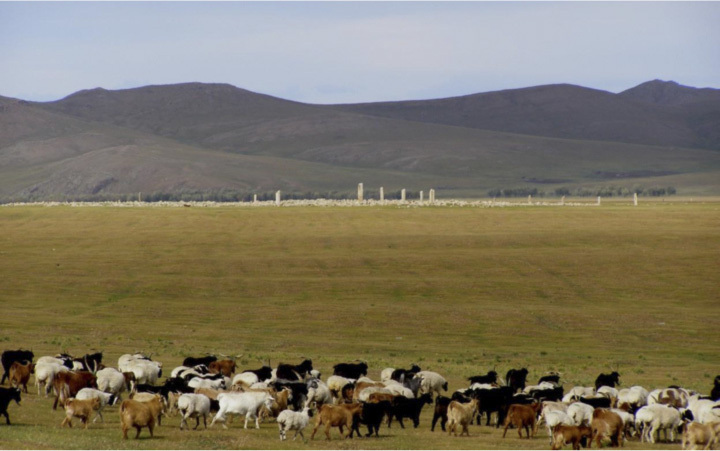 As could be expected, over the past three thousand years, most of these monuments have fallen victim to weathering, toppling, and damage from animals and people. 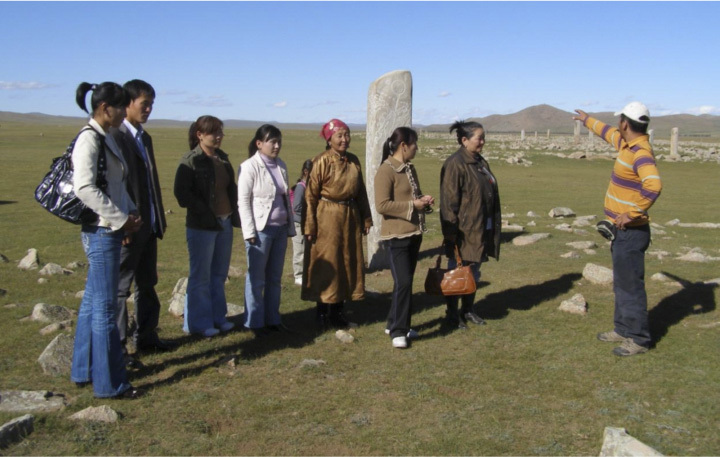 On August 15, 2009 a team of two archeologists (Ts.Turbat & J.Bayarsaikhan), Canadian monument conservator ( A. Gabov), 11 archeology students, two cooks and two drivers traveled from Ulaanbaatar to the Jargalantyn Am site to conserve and document 27 of the 32 deer stones (the largest grouping of stelae in the country). 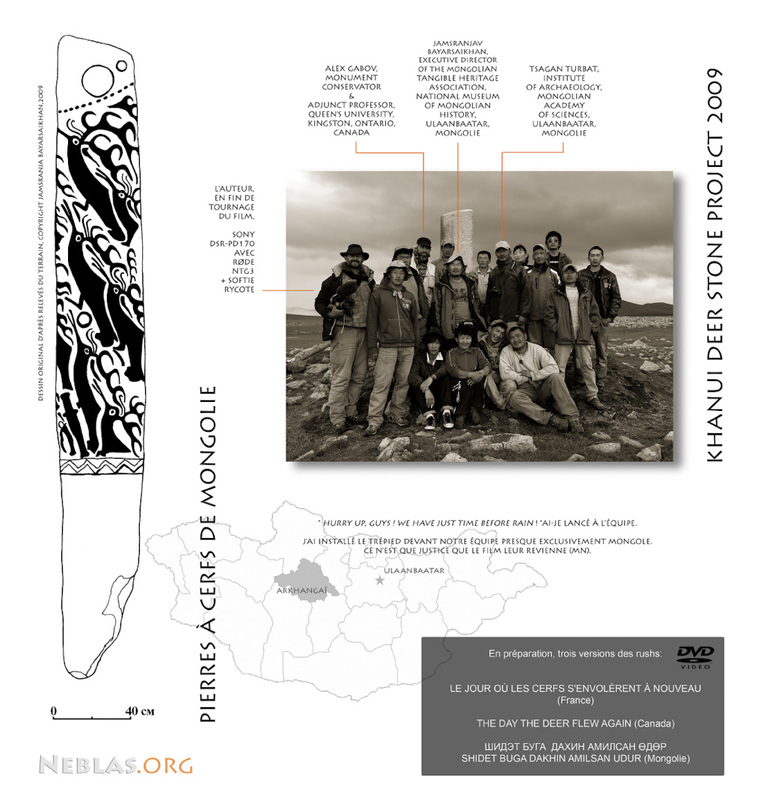 The effort was filmed by French photographer and videographer Michel Neyroud. 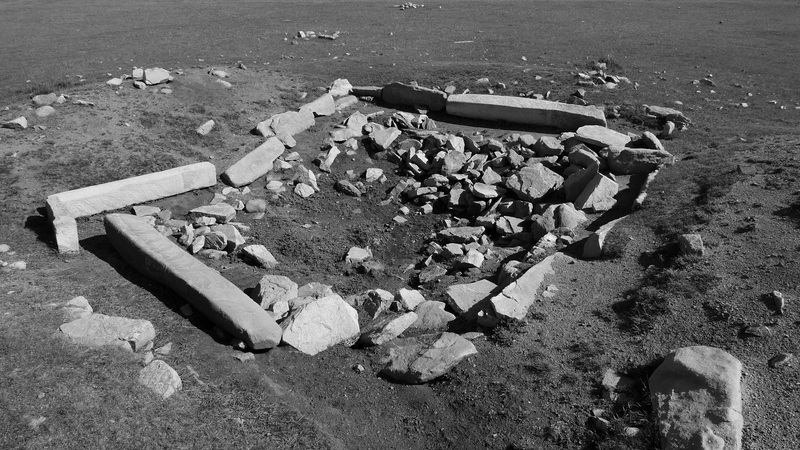 The conservation plan was to erect 24 of the 32 deer stones at Jarghalantyn Am.Three bigger deer stones of 24 deer stones had fallen down in their original places while the other 21 deer stones had been removed from their original place and reused for the construction of 3 quadrangular structures, unearthed by archaeological excavations in 1989 and 1990, which were erected later in the north part of the monumental complex. 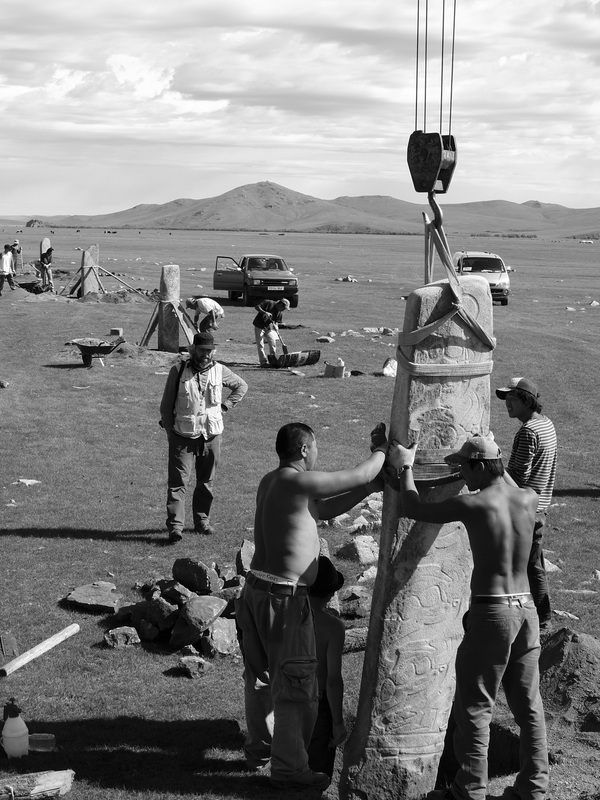 The placement plan created in an earlier stage of the project, May 2009, was based on studies of similar monuments in the territory of Mongolia, and intended to replace those 21 deer stones to points which might be similar to their original placement. The specifications for the conservation work were provided by A. Gabov (CSMO). 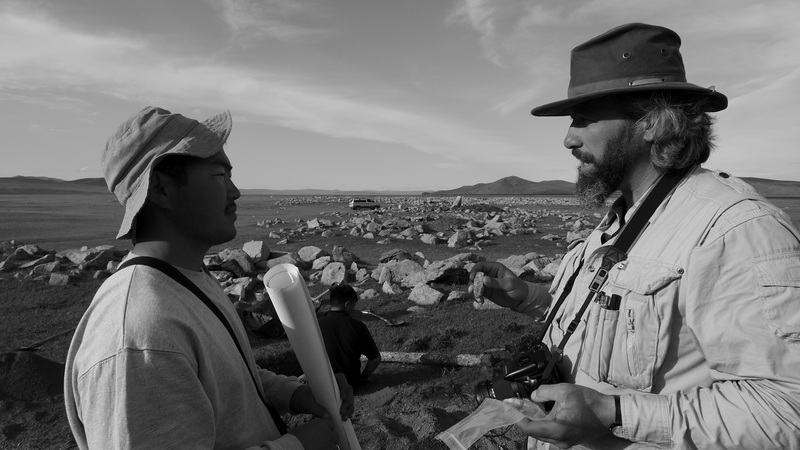 The expedition was organized by the Mongolian Tangible Heritage Association NGO, Ulaanbaatar.